PLEASE PARDON OUR DUST. WE ARE CURRENTLY MAKING IMPROVEMENTS TO OUR PROPERTY TO IMPROVE YOUR GUEST EXPERIENCE. Our Ontario hotel is where Oregon begins. 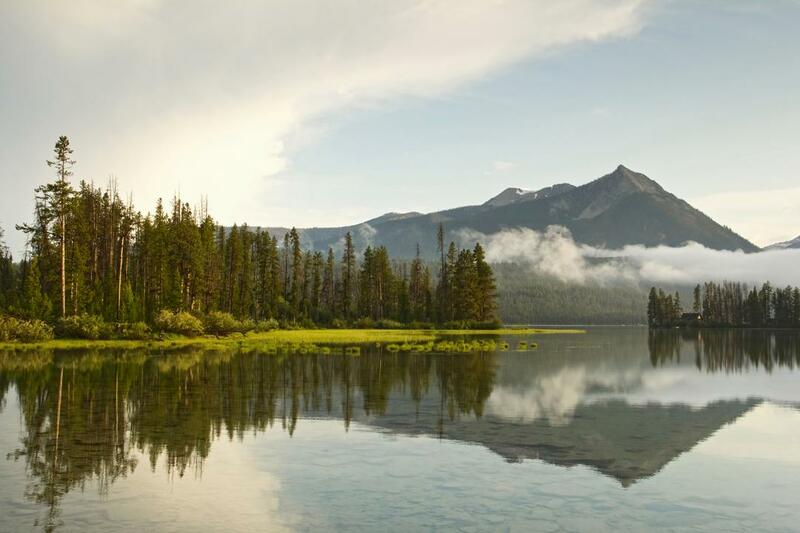 Right along the Snake River's banks, Ontario showcases the lush natural beauty that makes the Pacific Northwest famous. Even if you are just passing through to Boise, our hotel in Ontario, Oregon gives you a relaxing pause in your trip. Our Ontario accommodations have amenities to ensure an easy stay. If you like to stay active, we have a fitness facility, nearby jogging trails, an indoor pool, and even a bike rental. Wake up every day with a free breakfast buffet. At all times, our friendly staff is available to help make your stay more comfortable. Stay in our accommodations in Oregon for a cozy retreat with convenient amenities. Chill after a day of travel in our indoor pool and hot tub. Wake in the morning with a filling breakfast buffet. Take in the outdoors with a run on the nearby jogging trail or by renting one of our bikes. Our Oregon hotel rooms are even pet-friendly, so your furry friends can also take in the scenery. During your stay, our friendly staff will always be on hand to help with any of your needs. Have a last minute print job? Need to make copies? Our business center is here to make Oregon business travel less of a hassle. With a location on the border, we are often a stop on the way for Oregon and Idaho business travelers. Use our computers 24 hours a day, whenever you need them. We even have fax capabilities, so you can quickly send documents to and from our hotel. Ask our staff if you have any questions or specific needs during your stay. We are always glad to make business travel through Oregon easy. During your stay at Red Lion Inn & Suites Ontario, we give you a complimentary breakfast buffet every morning. From fresh juice, cereals, pastry options and fruit, you and your family are bound to find something to get you fueled up for a full day of adventure. Start your day in Ontario at the Red Lion Inn and Suites Ontario. Once you head out for the day, make sure to sample the local Oregon dining. From pizza to pubs, restaurants in Ontario have something for every food lover. Here are our favorite Ontario, Oregon restaurants for dinner or just a quick snack. Romio's serves delicious pizza, along with classic Italian cuisine. Have a night in with delivery, or stop by their restaurant for a nice evening out. Get your morning coffee fix with Jolts and Juice, Ontario's local coffee shop. They serve electrifying coffee and refreshing micro-brew beers from Tandem Brewing Company. A family friendly restaurant with a bit of Irish flair, Mackay's is a cozy spot for lunch and dinner. This family-owned establishment is a favorite among locals, and the pub is the perfect spot to watch sports. Enjoy a fresh, convenient and complimentary breakfast daily at the Red Lion Inn & Suites Ontario. Featuring a continental buffet, our Oregon dining provides a delicious start to every day. Adventure awaits. Our breakfast area comes equipped with complimentary Wi-Fi. So plug in, stay connected, and start your morning right at Red Lion Inn & Suites Ontario. Whether you're traveling as part of a group or are looking for a flexible meeting space for a sophisticated business event, Red Lion Inn and Suites Ontario is the perfect setting. With full-service event planning and 63 guest rooms, we are your home for great gatherings. If you are coming to Ontario with a group, or in need of event space, Red Lion Inn & Suites is here for you. Our Ontario meeting space is 800 square feet large, and it can host up to 60 people. We are an ideal choice for executive boardroom sessions to birthdays and more. As a standout among hotels in Ontario, we pride ourselves on offering an impressive banquet room for a variety of different types of functions. Our professional conference specialists are on-site to take care of all your needs. In need of a block of guest rooms for your next trip? The Red Lion Inn and Suites Ontario offers convenient and easy group room blocks for all types of travel. Whether you are in town for a meeting or in town for a family reunion, we can provide affordable group room rates for your next adventure. Let us handle the group room coordination while you focus on exploring. Contact us about reserving our Ontario meeting space or to request group accommodations at (541) 889-8282. Red Lion Inn & Suites Ontario is your ideal locale for hosting Ontario, Oregon events and group travel. From exploring the Snake River to early morning excursions on the golf course, Ontario has a bevy of nature awaiting. See why the Pacific Northwest attracts visitors every year when you experience these local Ontario, OR attractions. 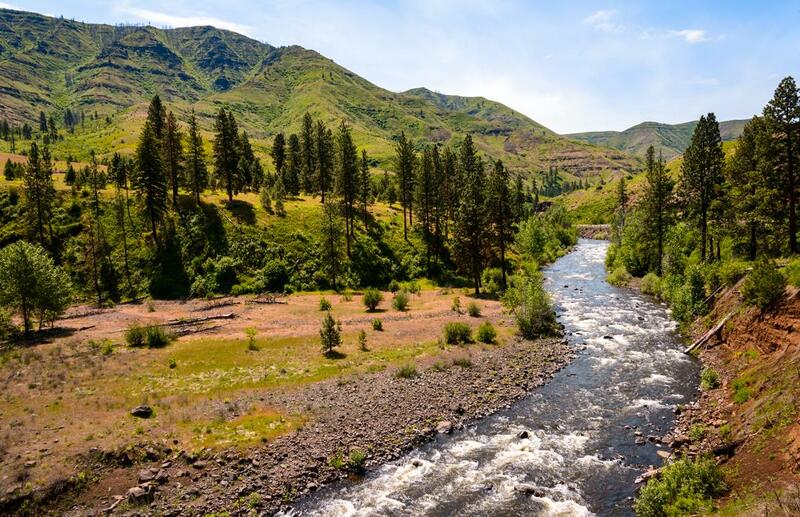 Our hotel near Snake River is the ideal spot for engaging with Oregon's famous beauty. Trails and routes wind along the river and the surrounding area. The best Oregon attraction of all, the natural beauty and wildlife, is all around you in Ontario. Ontario golf courses showcase the region’s natural beauty. The scenic surroundings will make your morning or afternoon game a relaxing excursion. Here are the best spots for golfing in Ontario. Opened in 1962, this 18-hole public course lies in Payette, Idaho’s rolling foothills. Open year round, the course has tees for golfers of all levels. One of the best local golf courses, it has a fully stocked proshop, a bar & grill, and a driving range. Opened in 1999, this 9-hole Oregon golf course is open to the public for an affordable price. In addition to the course, they also have a driving range. The course is 5,660 yards long, with a Par of 71. The largest course in Ontario, this 18-hole course was opened in 1964. Designed by Bob Baldock, it has 4 sets of tees for different skill levels, with a Par of 71. It is a public course and measures 6,670 yards from the longest tee. Over a thousand miles long, the Snake River runs from western Wyoming through Idaho and Oregon before finally reaching its mouth in Washington’s Tri-Cities, where it enters the Columbia River. The Snake River presents ample opportunities for outdoor recreation. The historic Farewell Bend Recreation Area offers fishing, boating, and water skiing along the Brownlee Reservoir. Other natural sites abound around the area. Just a short drive from our hotel is Owyhee State Park, which has camping and picnic facilities. The park lies in the Owyhee Reservoir, a 53-mile long lake. Volcanic rock formations color the landscape. The area is popular with boaters, and largemouth bass, catfish, rainbow trout, and crappie populate the waters. Even if you do not plan on camping, the natural beauty around Ontario and the Snake River makes for excellent scenery on a relaxing drive.